Recently, two Pathologists’ Assistants from the Laboratory Medicine Program, Samy Marzouk and Angela Anthony, had the opportunity to go up to the Sault Area Hospital, one of LMPs partners, and help out in their surgical pathology department. The editorial team of The Pathology Report sat down with Samy and asked him some questions about why he went, what it was like working with the SAH team and what he says to those looking for other work and educational opportunities. 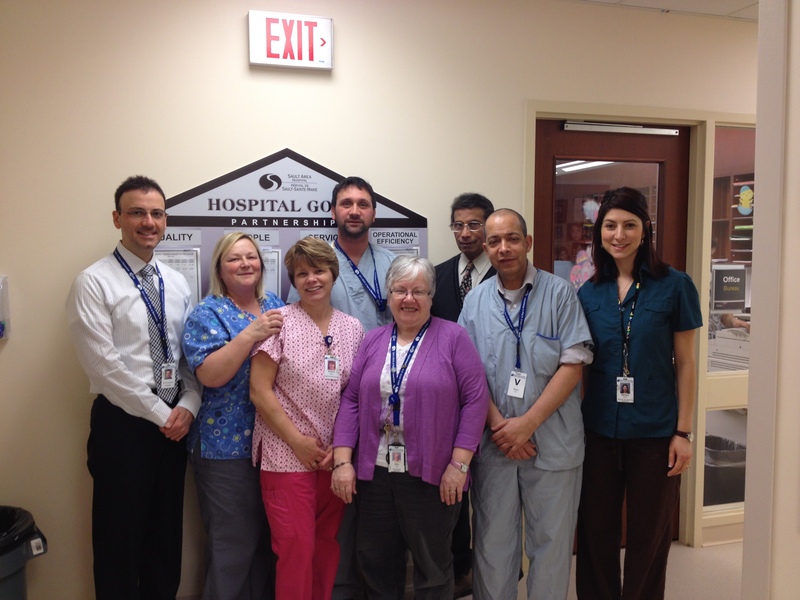 When did you work at the Sault Area Hospital? I worked in the surgical pathology department at SAH for almost the whole month of Feb and again in March as a PA.
Due to a leave of one of their staff members, they have had a shortage of PAs in their laboratory. I was able to cover the leave. Angela Anthony, another one of the LMP’s PAs has also been able to help out and covered a few weeks. I worked as a PA in their surgical pathology area, just like I do here. They were quite backlogged, so I just worked hard and did as much as possible. Why did you volunteer for this opportunity? I really enjoy taking on new challenges and trying something new, so I saw this as the perfect opportunity. Plus, I really wanted to gain additional experience working in a different laboratory setting and meeting new colleagues. Also, as an immigrant to Canada, I really enjoy being able to see different places in Canada and knew that I couldn’t let this opportunity go. 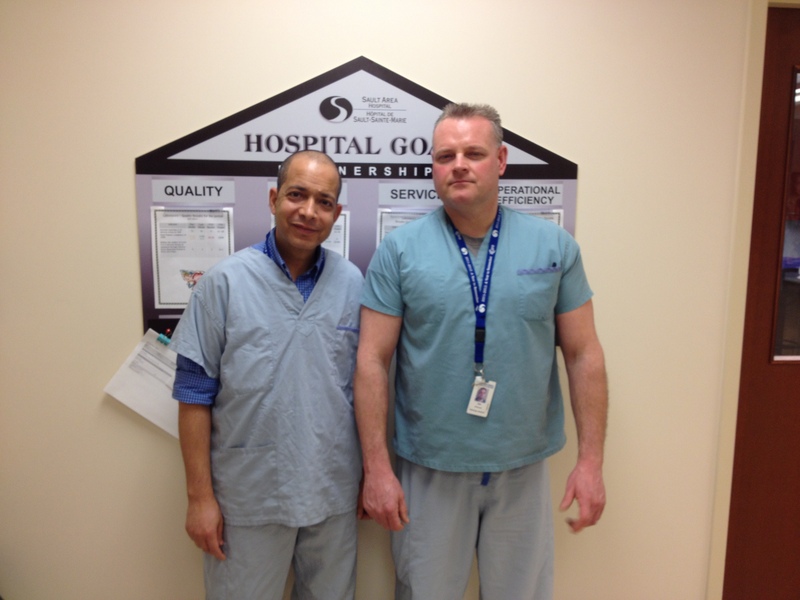 What is the surgical pathology area like at SAH? They are a relatively new hospital, around 2 years old, so it felt like I was using brand new equipment in a new space. They are also quite busy for a relatively small population, so they see quite a few specimens. I can appreciate how it wouldn’t take long for them to get backed up. I stayed at local hotel within Sault Ste Marie, close to the hospital. While I was there, I was able to attend Bon Soo, an annual winter carnival in Sault Ste. Marie. It was great to see this event as there were lots of tents, exhibits and ice sculptures. I was able to work with some terrific people at SAH. I mainly worked with Dan, the senior PA and Drs Mike D’Agostino and Mozorowski. I also worked closely with Scott Bowman, the laboratory manager and Betty Currie, the lab technical supervisor, who was incredibly helpful in getting me settled. She even recommended an all you can eat sushi place. The entire team has been very friendly and welcoming. I was initially hesitant because it’s always a little stressful going to work in a new place, but they all put me at ease and were very warm and gracious. I could also tell they are very passionate about their work, hardworking and committed to their patients. Just that I’m excited to head up to SAH again. I really encourage everyone to take these kinds of opportunities, try new things and go to a new place. You get to meet new people and gain some really valuable experience.